What is good acting? How does one create believable characters? How can an actor understand a character if they do not understand themselves? In The Science of Acting, Sam Kogan uses his theories on the relationship between neuroscience, psychology and acting to answer these questions. Practical exercises provide a step-by-step guide to developing an actor's ability, culminating in Ten Steps to Creating a Character. 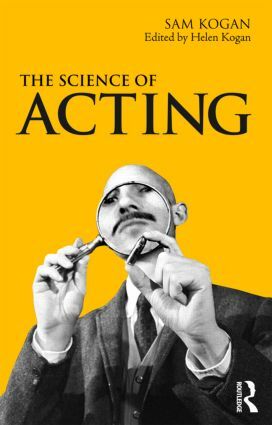 He presents the reader with a groundbreaking understanding of the subconscious and how it can be applied to their acting. The author’s highly original perspective on Stanislavski's teaching gives readers a unique insight into their character’s minds. Sam Kogan studied at the Moscow Institute of Theatre Arts (now the Russian Academy of Theatre Arts) under the tutelage of Professor Maria Knebel. He established The Science of Acting, a complete stand-alone technique. Helen Kogan is the chair and former principal of The Academy of Science of Acting and Directing, has helped to shape her father's words and work for the publication of this book.